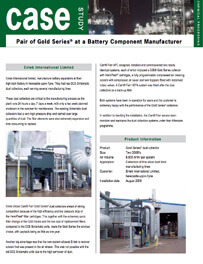 Entek International Limited manufactures battery separators in their high-tech factory in Newcastle upon Tyne. They had two DCE Sintamatic dust collectors each serving several manufacturing lines. The dust collectors are critical to the manufacturing process as the plant runs 24 hours a day, 7 days a week, with the only planned shutdown being in the summer for two weeks. 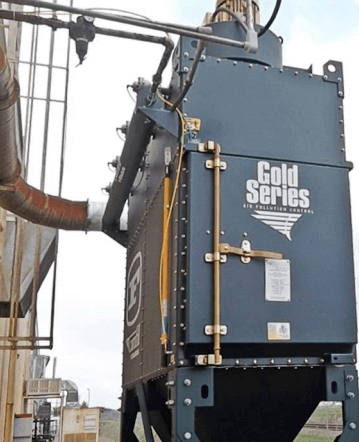 The DCE dust collectors had a very high pressure drop, carried over large quantities of dust, and the filter elements were extremely expensive and time-consuming to replace. Entek chose Camfil ahead of the strong competition because of the high efficiency and low pressure drop of the Hemipleat filter cartridges. Additionally, the extremely quick filter change of the Gold Series industrial dust collector and the far lower cost of replacement filters compared to the DCE Sintamatic were factors in the decision. The payback time could well be under a year. Another big advantage was that the system allowed Entek to recover solvent that was present in the airstream, which was not possible on the DCE Sintamatic due to the carryover of dust. 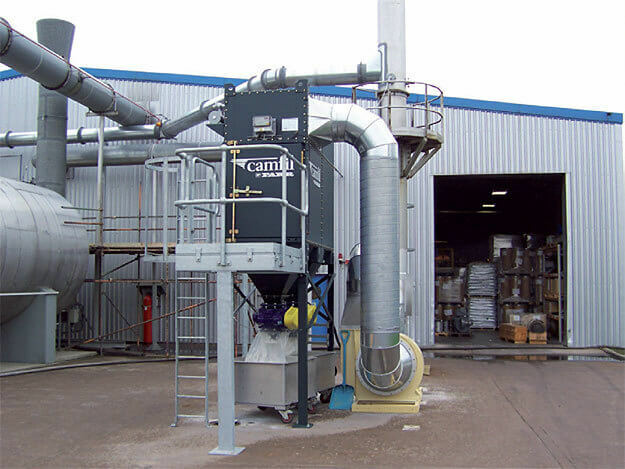 Camfil designed, installed and commissioned two near identical systems which each included a GS8 complete with Hemipleat cartridges, a fully programmable compressed air cleaning system with compressed air saver, and twin hoppers complete with two motorized rotary valves. A Camfil HEPA Filter system was fitted after the dust collector as a backup filter. Both systems have been in operation for nearly two years, and the customer is extremely happy with the performance of these dust collector systems. 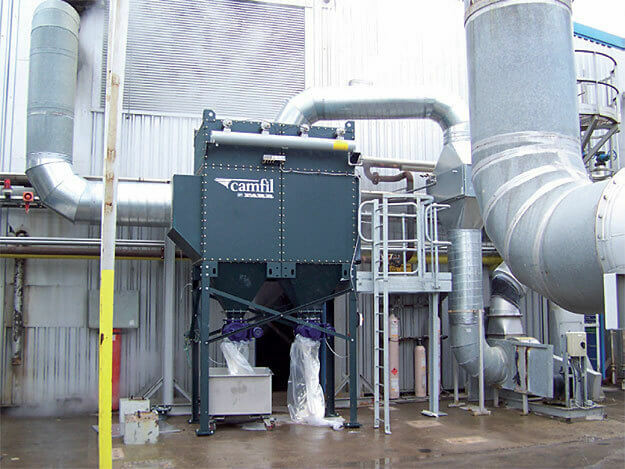 In addition to handling the installation, the Camfil Service team maintains and monitors the aftercare for the dust collection system.